Don’t wait for new construction! 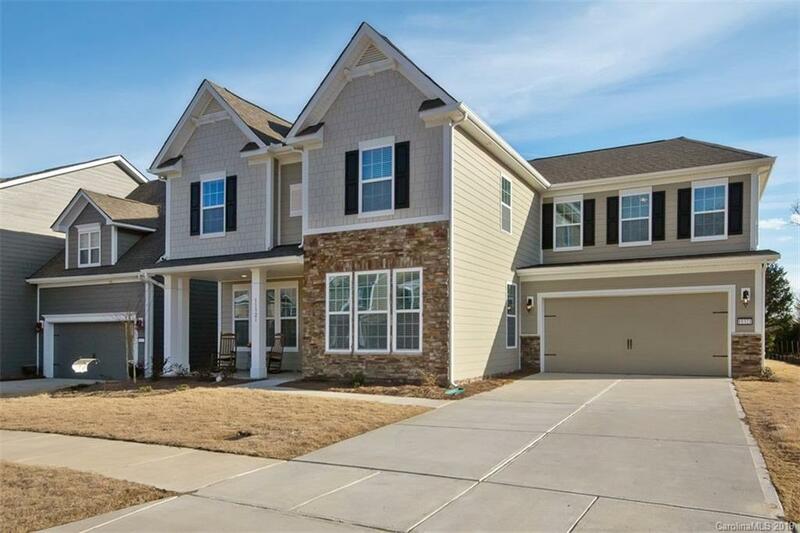 This well designed floor plan boasts over 3700 sqft, 5 bedrooms, 4.5 baths, office, dining room, bonus room & fantastic storage! Comes w/a great 60 ft lots, natural tree save area, & extended stone patio w/fire pit & built in stone wall seating. Upstairs you'll find a huge master suite w/large soaking tub, gorgeous tiled shower w/over-sized rain style shower head, & fantastic sized master closet; 3 ample secondary bedrooms (1 w/a private bathroom) w/large closets & ceiling fans; a massive bonus room, fantastic sized laundry room, & a large additional storage closet. Downstairs you will find another bedroom w/full bath, plus a half bath for guests, beautiful wood floors on main level, chef's kitchen w/upgraded tiered cabinetry, gas cooktop w/stainless steel hood, tile backsplash, granite counters, office w/french doors, formal dining room w/upgraded coffered ceiling, 2 inch faux wood blinds already installed thru-out the home.